Hall of Fame boxing legend and 4-time world champion Evander “The Real Deal” Holyfield is most known for his warrior-like determination and tremendous heart showed in wars with Dwight Muhammad Qawi and Riddick Bowe. But beyond those bouts, Holyfield was also involved in one of the most controversial bouts in the history of the sport, one not remembered for the action in the ring, but instead another fighters reaction, Holyfield vs. Tyson 2. 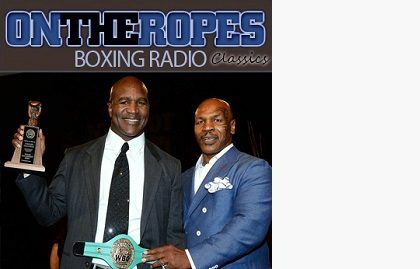 In part 2 of my “On The Ropes” boxing radio classics interview with Evander Holyfield, I get his thoughts on fighting Mike Tyson nearly 5 years after it was first announced. Holyfield also talks about the rematch with Tyson and the lasting impressions that fight left on him. Additionally, Evander reflects on some of his greatest moments in his career and talks about his final title fight. Here is what Evander Holyfield had to say. Jenna J: Evander, the question a lot of boxing fans have when it comes to you fighting Mike Tyson is about how the fight would have played out if it happened in 1991. Do you think it would have played out any differently if you faced him more toward his prime? Evander Holyfield: I don’t know, but I’m just thankful that it played out the way it did in ’96. In ’91 I was a good fighter, I was undefeated. I had never been beaten and I don’t think my energy was any different. I probably would have fought a little bit more aggressively, but I was fortunate enough to fight him in 1996 and I was able to get the job done. Jenna J: Tyson had a lot of excuses after his defeat, he had blamed headbutts for the loss, but the rematch was made and took place in 1997. 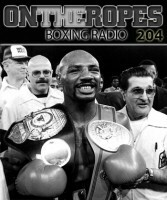 The fight brought a result no one saw coming, can you talk about Tyson-Holyfield 2? Evander Holyfield: Well with the second encounter with Mike, it started off and everybody used the excuse that “Mike thought Evander was sick so he didn’t prepare himself as good as he probably would have if he knew Evander wasn’t sick, because Evander had a bad heart, he had one foot in the grave,” and like that. So when I won that fight he wanted another fight. 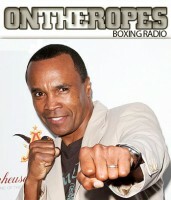 Everybody said, “Mike is going to be in better shape and he’s going to be ready.” I said, “Alright! Okay! We’ll do it again!” When the fight started off, I jumped right in on Mike in those first two rounds. Of course in the third round Mike wanted out so he bit me on the ear, which caused the fight to be over. There was a little mayhem and a little riot and people were very upset and disappointed and all of that and it’s all because Mike lost his cool. He lost his cool and bit me twice. 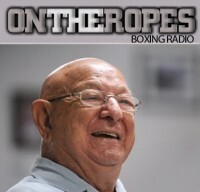 Unfortunately Mills Lane stopped the fight and it was in a way where the fight didn’t end with him getting knocked out. In other words, he quit. Jenna J: Do you have any regrets in your boxing career? Anything you wish you would have done differently? Evander Holyfield: It would probably be nothing because I wouldn’t be who I am if I had made any changes because it would have taken me in a new direction. There are a few things that you’ re really not proud of. One thing that I wasn’t proud about is I fought Riddick Bowe the third time when I was sick and that was the first time I ever got stopped in a fight. I had Hepatitis and the doctor told me not to, and I prayed I’d be alright. I got in that fight and it was just a bad fight, but unfortunately that did happen. Then there was another fight that I fought when my shoulder wasn’t healed properly and I thought I could still beat these three people who I fought and I lost. It was my first time losing three fights in a row, but it lets you know that my mentality was still the same. I didn’t complain about it or make any excuses. I made a bad decision to go in there with my shoulder all jacked up thinking I could beat these three opponents that I fought, and I lost against all three of them. That’s when they snatched my license. They took my license and said “Evander we got to save you from yourself,” but I brought it upon myself because I should never have went in there knowing that I wasn’t prepared at my best, but I still thought I was better than them at that time but they proved me wrong when I fought them. That left shoulder was messed up. I was fighting one-handed and I wasn’t better than those guys I thought I was better than. Jenna J: Now looking at things a different way, if you had to name one performance where you felt everything went the way you wanted it to, which performance would you say that would be? Evander Holyfield: It is hard to say just one. There are maybe about four fights that I fought where I was just really tuned in. 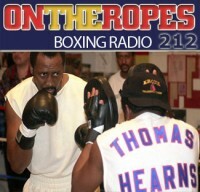 There was the night I fought Dwight Muhammad Qawi. It was July 12, 1986 when I became the cruiser weight champion. There was that fight, and I would say the fight that I fought with Riddick Bowe in 1993 and won the title back, and the fight that I fought with Mike Tyson in 1996 and became the champion, and the fight that I fought with Michael Moorer in 1997, when I stopped Michael Moorer. Those are fights where I got it together. Then again, I would say when I fought Lennox Lewis the second time in 1999. That was a very good classic fight where I just wanted to prove to Lennox Lewis that the first night he fought me I was sick. But in the second fight even though they gave him the decision, I think I won the respect that I wasn’t that guy that night when they called the fight a draw. Those five fights there are the fights that kind of stand out and allows me to know when things are clicking I can put on a great fight. Jenna J: In the final title fight of your career, you put up a great performance at 46 years old against Nikolay Valuev who was 49-1 at the time. What did you think of that decision? Evander Holyfield: Actually I felt that I did win the fight. There’s no doubt. Basically judging the fight back when he fought David Haye, I did more than that and they gave him a unanimous decision. But one way or another, you give it your all and you’re hoping that people see that. When I fought this guy I felt that I won and I didn’t get it, but it doesn’t make me disappointed. Jenna J: Evander, now that your career is all said and done, how do you ultimately want to be remembered by the fans? Evander Holyfield: I think with all of the things that I accomplished, my mother told me when I was a kid, “You’re not going to be a classroom clown. If you don’t get attention, you’re going to get it in the right way.” So pretty much my career kind of exemplifies that. I was a little guy where people said you can’t do this, you can’t do this, but my mother said if you don’t quit, you can. I’ve done that and I’ve made mistakes in the course of doing it, but I overcame mistakes and my career exemplifies that if you don’t quit you will get to that destination that you want. 3 Responses to "Evander Holyfield: “Mike Tyson lost his cool and bit me twice. Unfortunately the fight didn’t end with him getting knocked out!”"
Tyson got bullied in the fight very early and when the headbutts happened once again, he lost his mind and took a little chunk from Holyfield’s ear. How Mills land let it get to the end of the third round was amazing. I always wondered what would have happened in round 4. 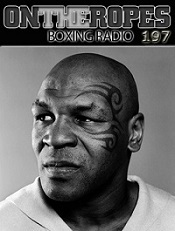 Evander Holyfield vs. Mike Tyson III needs to happen! They are already in talks!